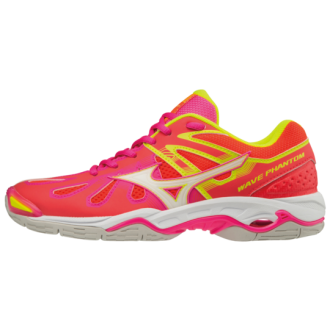 As well as containing an appealing design, the Mizuno Wave Phantom Netball Trainers ticks boxes for comfort, stability and breathability. The Air mesh and synthetic overlays allow you to picot and land with comfort whilst the midfoot and lateral support provide the cushioning you need to succeed on the court. Mizuno is the official Netball trainer supplier of the England Netball team as well as the Manchester Thunder, Benecos Mavericks and Severn Stars in the Vitality Superleague.